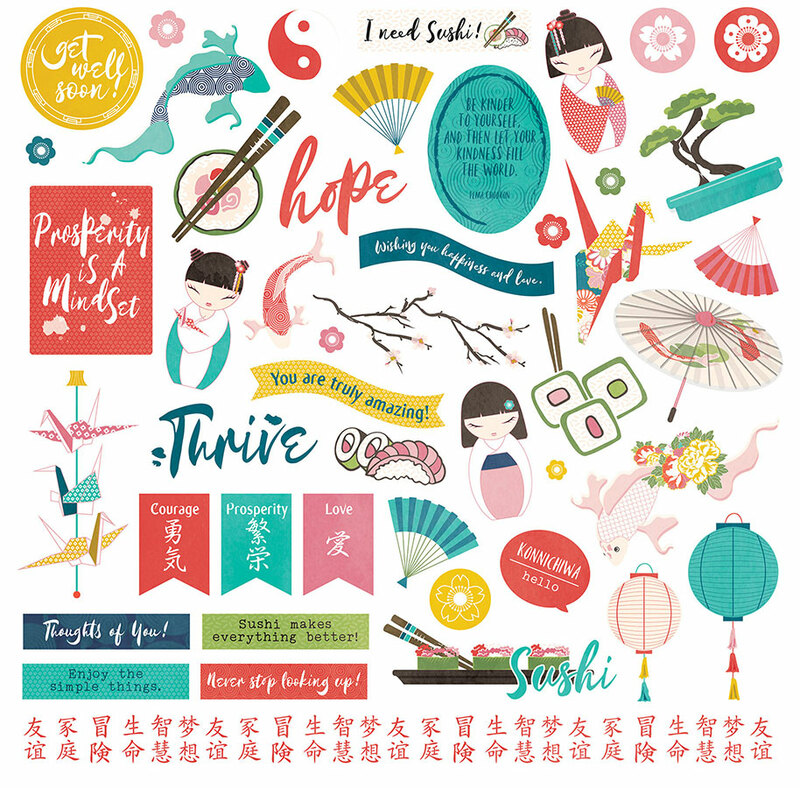 This 12x12 Sticker Sheet has a great assortment of Icons, Borders, Phrases and other shapes. Great for accenting any of your craft projects. Look for coordinating Photopolymer Stamp Set, Designer Etched Dies, Layered Stickers, ChipBoard and Designer Papers. Part of the Paper Crane Collection by PhotoPlay Paper. Note: Look for my 'Value Pack' Available.